React's performance comes from its "virtual DOM" approach to rendering. Any framework can provide acceptable performance with small data sets, but as the amount of data grows React clearly separates itself from the competition. React achieves high performance with large data sets by simply doing less work. As application models change, React only re-renders the differences as calculated by comparing it's virtual DOM to the browser's HTML DOM. Rendering only the differences makes React incredibly fast and efficient, allowing it to scale for handling large complex views that would perform poorly if rendered in other client-side frameworks. React is still the "new kid on the block" and at the time of this writing has around 3,000 questions on stackoverflow versus over 100,000 for a mature framework like AngularJS. React on its own isn't a drop-in replacement for building a Single Page Application (SPA), especially when compared to the features in a mature framework like AngularJS. React simply acts as a view engine and does not implement the other necessary requirements of a SPA such as routing and model management. 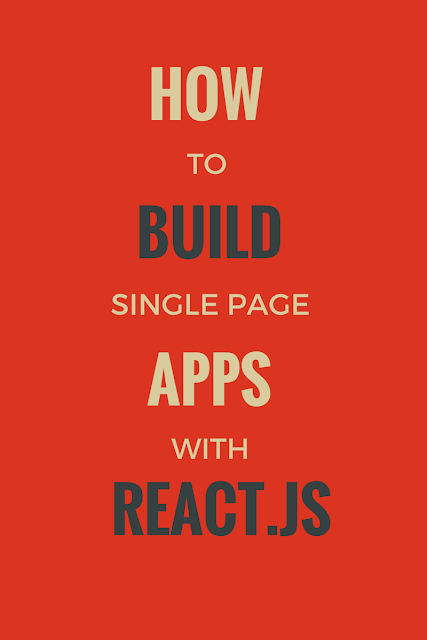 To build a working SPA, React must be combined with other libraries or integrated with existing SPA frameworks. It's possible to integrate React with AngularJS such that React renders the view and relies on AngularJS to handle the other SPA responsibilities. This exciting new option has become a popular alternative for client-side development and now projects like Om are going a step fruther to provide a Clojure interface to React. With Om a developer can write code in Clojure and target React for an easy path to building a SPA. Let’s get started using React and Om to build a SPA. This simple React component implements the IRender interface defined in the React lifecycle. Our component produces an H1 containing the text from our app-state atom. Currently the app-state atom contains “Hello world!”. Try changing this a few times and run `lein cljsbuild once spa-tutorial` to see it change in the browser. With this change we have removed the simple template component and added four new components: index-page, contact-page, about-page, and the shared component, navigation-view. These components are registered with Secretary via specific routes using the `sec/defroute` statement. When the client-side route changes in the browser, Secretary overwrites the contents of React’s virtual DOM <div id="app"> element. Becausue React compares the virtual DOM to the browser it quickly sees this change and renders the changed contents. In our code each React component is a Clojure function built with Om so that it implements the IRender interface. Om makes it easy to build HTML using methods such as `dom/h1` which renders an HTML H1 element. React is based on component composition and Clojure functions make this easy by simply calling each other as shown in the interaction with the navigation-view to create our component hierarchy. Clojure functions are a nice approach to breaking up functionality into smaller, reusable components. If you enjoyed this article, please consider visiting our blog. We post frequent examples, guides, and comparisons of technologies, frameworks, and languages. The BHW Group is an Austin-based web & mobile application development company. We have released over 300 applications using a wide array of frameworks and languages. We love tinkering with, testing, and writing about emerging and established technologies.